This is a glossary of terms commonly found on BlackBerry Forums and other mobile phone forums. This article has been originally written/compiled by Mark Rejhon of BlackBerryForums.com. This is an acronym for Access Point Name. This is used for the TCP/IP stack. This is a kind of a gateway between the mobile network and the Internet network. To gain access to always-on Internet from a mobile phone, such as instant messaging, it goes through an APN. Some mobile phones, such as BlackBerry uses multiple APN's. The main APN is blackberry.net for the BlackBerry emails, but there are other APN's that are carrier-specific for getting Internet access such as Verichat, etc. This stands for BlackBerry Enterprise Server. BES turns a BlackBerry into a powerful government-quality secure email system with full wireless email and PIM synchronization, including email folder structure, moves between folders, deletions, unread/read indicators, etc. An administrator can even kill a BlackBerry remotely through BES when it gets stolen too. People who need inexpensive BES, can see the Hosted BES FAQ. BES also provides MDS capability, which is generally higher-reliability than the recently available TCP/IP stack found on BlackBerries. Stands for BlackBerry Internet Service. This is your @blackberry.net email account, which you can access via a web browser, in order to configure your BlackBerry through a web-based interface. You can also read your blackberry.net emails on your BIS account. This is the new name for the BlackBerry Web Client (BWC). BWC is an abbreviation for BlackBerry Web Client. This is the old name for "BlackBerry Internet Service". See BIS. Desktop Manager is the software application used by a BlackBerry to communicate with your PC for synchronizing data in your calendar, address book, tasks and memos. Other applications included in recent versions of DM include a Switch Device Wizard used for moving or upgrading from one BlackBerry to another and other phone models/manufacturers to a BlackBerry; Media Manager, used for transferring media content (music files, pictures, ringtones, etc. ); Application Loader, for loading additional or third-party software to your BlackBerry; and Backup/Restore, used to backup the data content on your BlackBerry and likewise to restore content from your backup to the BlackBerry. Hyper Text Markup Language. This is the format of a document in a web browser. Same thing as in your desktop web browser, such as Internet Explorer. Recent BlackBerry devices can now display HTML too. This stands for Mobile Data Service. It's a method of Internet connectivity for a BlackBerry. that is provided by a BlackBerry Enterprise Server. In the past, BlackBerry devices required MDS to run most kinds of third-party Internet software. More information can be found at Configuring Internet on BlackBerry. Multimedia Message Service is similar to SMS (see definition below) but allows attachment of certain images, address book entries, and other media. Operating System is the core operating software that is the engine of your BlackBerry. There are various OS versions developed by RIM and released by carriers to their users. Find your OS on your BlackBerry by (on the BB) clicking Options or Tools, and clicking About. This stands for Personal Information Management. A PIM handles your address book, calendar, tasks, and notes. A BlackBerry has PIM because it has these. A PalmPilot has a PIM too. And your desktop Microsoft Outlook is a PIM software program. So is Palm Desktop too. Macintosh users have Entourage, as well as simpler PIM components such as iCal. PIM's are frequently designed to synchronize to each other, such as between a BlackBerry and Microsoft Outlook. Each Blackberry has a unique PIN. This is not your 4-digit PIN for your SIM card, but an 8 character long hexadecimal value that is used to identify your device against the BlackBerry Enterprise Server. So this PIN is not used in the common understanding of "PIN" for logging in, like your using phone SIM card, ATM card, Online banking. Push Email describes any system where message delivery to a wireless device is accomplished by a server initiating communication with the end unit. Push Email is often misunderstood as any system with “immediate” mail deivery. While BlackBerry devices are well known for having nearly immediate mail delivery, the timing has, in fact, very little to do with determining whether a system is push email. The key to push mail is the responsibility of the end client in the mail delivery process. A BlackBerry device never initiates the mail delivery process, which is what makes it a push system. BES, BIS and Desktop Redirector are all push mail systems which integrate with the BlackBerry device. Stands for Research In Motion, the company that manufactures BlackBerry devices and develops software products for it, such as BES. Service Books on your BlackBerry enable various services to be rendered to your BlackBerry, such as email configurations, the browser and attachment services. This stands for Short Message Service. This is a method of sending small text messages between mobile phones, usually up to 160 characters of text. This behaves like an email, except the address is simply the phone number of your recipient mobile phone or BlackBerry. SMS is very popular in some countries such as UK, and especially popular with the young urban crowd in developed countries. SMS is also a popular substitute for email in areas where email is used less frequently. Short for Synchronization or Synchronize. This allows your BlackBerry to have identical PIM information as your Microsoft Outlook. 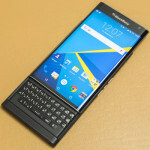 New items added to your BlackBerry gets added to your Microsoft Outlook automatically, and new items added to your Microsoft Outlook gets added to your BlackBerry. This is a protocol that allows all computers and handhelds to connect to the Internet. If you are reading this article, you are already using a TCP/IP stack that is built into your computer or handheld's operating system. TCP/IP stands for "Transmission Control Protocol / Internet Protocol". Recent BlackBerry devices include TCP/IP capability, so you can run Internet software on a BlackBerry. GSM is the most popular mobile phone standard in the world. It is used by almost every country in the world that has a mobile phone network. GSM stands for "Global System for Mobile communication". This is a second-generation digital mobile phone standard that transmits voice digitally between the phone and the cell antenna towers. Large North American mobile phone networks that uses GSM include Cingular and AT&T, Rogers and Fido, as well as T-Mobile. Standardization has permitted the ability to interchange phones between many different providers, provided that the phone is not "locked" to function only on one carrier. For technical information, see Wikipedia GSM. Lowercase GPRS on BlackBerry means that you have basic data service but without BlackBerry email support. Also applies to lowercase "1x" for Verizon/Sprint/Bell CDMA and "nxtl" on Nextel iDEN (see below). GPRS BlackBerries will display an indicator "GPRS" when it connects with full data service, and lowercase "gprs" when it is not able to connect to full BlackBerry email/Internet service. This is an extension to GSM and GPRS for faster data speeds. The principle is the same as GPRS, except data speeds are much faster. Speeds are typically in excess of 100 kilobits per second, and sometimes in excess of 250 kilobits per seconds under excellent conditions. Latency is improved over GPRS. For technical information, see Wikipedia EDGE. This is newer proprietary mobile phone network that was made popular by Nextel. It stands for "Integrated Dispatch Enhanced Network". It has the advantage of being natively packet-based so Internet performance is much lower latency on iDEN networks than GPRS networks, as low as under one-tenth the latency of GPRS. Telus and some South American carriers also use iDEN. iDEN phones are not interchangeable with GSM and CDMA phones. Nextel BlackBerry devices will display an indicator "NXTL" when it connects with full data service, and lowercase "nxtl" when it is not able to connect to full BlackBerry email/Internet service. For technical information, see Wikipedia iDEN. This is yet another mobile phone network standard, invented by Qualcomm, and is used mainly by many North American carriers. It stands for "Code Division Multiple Access". CDMA BlackBerry devices display an indicator "1X" when it connects with full data service, and lowercase "1x" when it is not able to connect to full BlackBerry email/Internet service. Carriers include Verizon, Sprint, and Telus. For technical information, seeWikipedia CDMA. Just like GPRS is an extension to GSM, this is a standard that extends on CDMA for always-on data at higher speeds. CDMA based BlackBerry devcies use 1X for data transmissions. For technical information, see Wikipedia CDMA2000. EVDO is a lot like EDGE (for GSM-based networks) except it is for use on CDMA networks. It provides a higher-speed connection (up to 4.9Mbps on downward links) than already available with the CDMA2000 standard. When EVDO is used on a BlackBerry, it is commonly identified as 1X EVDO. For technical information, see Wikipedia EVDO. This is one of the original networks that early models of BlackBerry devcies ran on. They were the RIM model 95X series. Mobitex is an early packet-switched wireless data network, and is still a popular data network for many systems such as taxi meters, parcel delivery scanners, etc. Please post terms and acronyms you want added to this Glossary!